It was the year 2002, and Rina(Look at my Form) was in Star Cave, hiding from all the Pokemon. She beleved that she had lived in there for 5 years, but was unsure.She was looking around the cave when she stumbled on some writing on a wall. It was obviously written quickly. Curiously, she read it. "I don't have much time. I only have enough time to write this, and if someone is fortunate enough to read this, then thank you. I'm writing this and the event happened in 1900. All was great in Treasure Town, nothing was going wrong... well, not untill that fateful day. What fateful day, you ask? Well, the day when a small rock fell from the sky. The Pokemon decided it was no magor threat and let it fall to the ground. Oh how wrong they were, for as soon as it hit the ground, it burst into six small fragments that stuck themself on five young Pokemon, and they started to change. The grew bigger and scarier, and all of them had red eyes. Funny enough, they were Pokemon that had lost something and felt something else for all other Pokemon. Anyway, they attacked and started killing many Pokemon, so all the other Pokemon tried running from these Po... from these 'monsters'. After a year of the attack, me and five other Pokemon decided to lead these 'monsters' away. We lead them to six different caves; Aegis Cave, Labyrenth Cave, Inferno Cave, Spring Cave, Crystal Cave, and here, Star Cave. We were meant to seal up all the exits, but I managed to seal up all but one. I hope that the 'monster' that followed me doesn't find that exit, and that the others managed to seal up all of their exits... Oh no, 'it' found me! I need to..." then it scribbled out. 1. Follow all pkmn.net rules! 2. I shall definately NOT allow god-modders! 3. No Mary Su/Gary Su! 4. 3 character per person MAX, and only 1 of the "Five young Pokemon"(If you choose to have one)! 5. All places mentioned in the text have one entrence/exit. 6. Five of the young Pokemon have reverted to their original form. The last one cannot, and has to have a lot of convincing done if they want to get back to their normal personality. 7. If people decide to make their one of the "Six young Pokemon"(If they choose to have one.) to their "Other Form", then, after a month goes by, they keep their form, but go to their original personality. 8. The Pokemon's level only depicts their stats, so you can choose any move despite their level. 10. Put "Monster Pokemon" in your form if you read the rules! Other: I'm not putting the password here! It's up in the rules! Required thing to turn into other form: 20 Pokemon dies in frount of her. As the years pass by reality gradually takes over my life, yet I remain a dreamer. 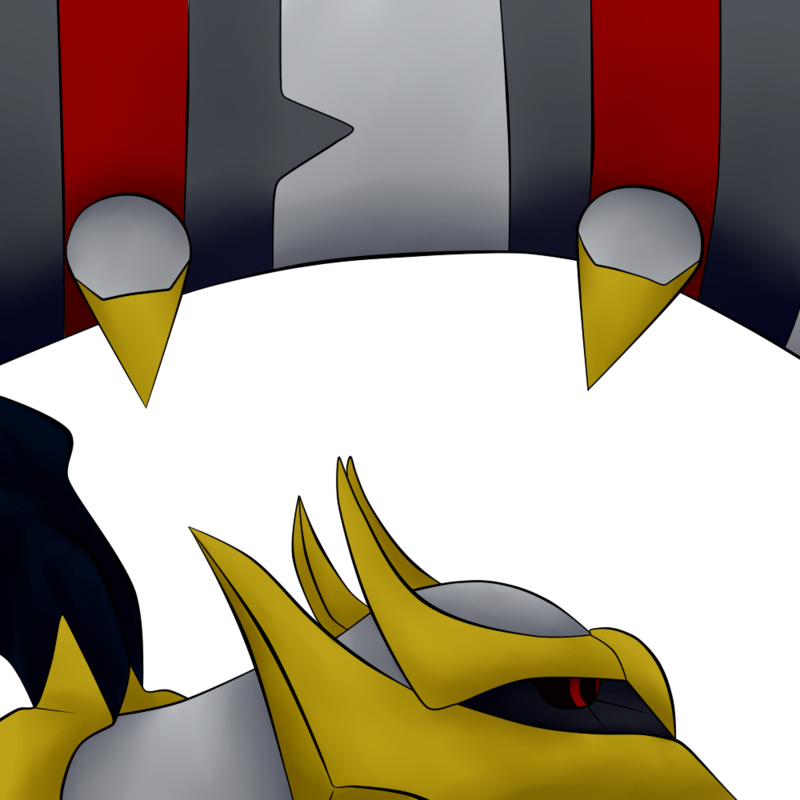 Appearance: A shiny Weavile with a silver earring and a white scarf around his neck. He wears a chain with a precious blue jewel on it, which usually hangs in front of his chest. A scar runs down his face. Backstory: Quince grew up in Treasure Town but never really fit in, which was only compounded by his strange coloration. Often teased as a kid for being named after a yellow fruit, Quince grew up to be a thief, unlike most of his peers who became explorers. He frequently visited the Spinda Café, until he saw a wanted poster with his face on the wall. He was being hunted now, so Quince left Treasure Town in search of a new hideout. Moves: Feint Attack, Revenge, Ice Shard, Metal Claw. While having writers block for all the other rps I'm supposed to be doing (oops) I finished this! 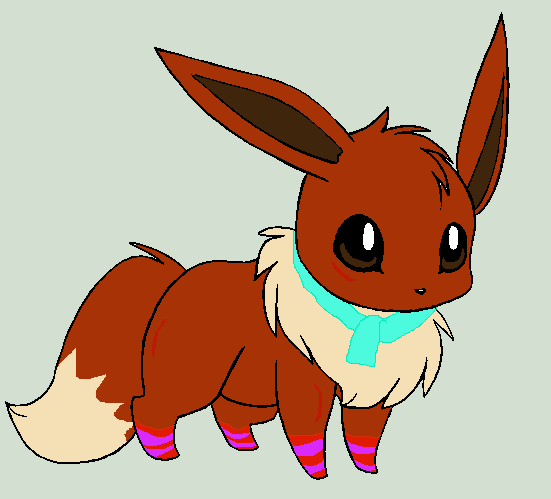 Appearence: A mostly normal Pawniard, except her eyes have turned a deep red permanently due to the shard of the fallen rock that attached itself to her. She wears a pendent with a symbol etched into it. She no longer knows what the symbol means. Required thing to turn into other form: Must have the blood of 10 different pokemon on her blades, doesn’t matter if the pokemon the blood came from are dead or if she killed them. Yes it is set in the Mystery Dungeon world, E.K.A.N.S. Quince knew something was up when he saw his wanted posters all over town. The Guild was onto him. No more raiding dungeons, stealing from merchants, ambushing explorers. No more resting up in Spinda Cafe to prepare for the next day. Quince had to base his operations somewhere else. And he knew the perfect place: Star Cave. Perfectly secluded, the place was largely untouched by Pokemon. "My new evil lair!" Quince shouted into the cave. "It's perfect." He didn't know that the place was already inhabited. As Quince saw it, Star Cave was his territory now. No one would find him here, he thought. Rina was freaked out by the writing, and started heading for the only exit. She jumped and screamed when she heard shouting from the opening, turned, and started running as fast as she can away from the voice. Nilda had no idea was was going on or where she was, but she was alone and didn't want to stay that way. She was in some cave, but there were few other pokemon besides her, so getting around wasn't a problem. It didn't take her long to find the one exit, but that wasn't all she found. By the exit, there was a bag, apparently abandoned in a hurry by pokemon who owned it, judging from its contents, which mostly consisted of Oran berries and apples, being left around everywhere. Nilda rummaged through the bag, hoping to find something of value, maybe something that could help explain her situation. She found a note. It explained about the monster pokemon and about the attempt to trap them. She smirked, "Well, I certainly hope I get to meet these 'monster pokemon'." She stuffed the note, now with a few new holes from her blades, back into the bag, scooped the other supplies back in, and left the cave, taking it with her. Nilda walked for quite some time before seeing anyone else. Suddenly, she heard a voice, "My new evil lair! It's perfect." Without thinking, she ran toward the voice, stopping before she ran into the Weavile. Wait, he said 'evil' lair, didn't he? She suddenly realized she may have made a mistake. Not that she was the epitome of 'good' herself, at least she didn't think she was, she couldn't remember, but if he saw her as a threat, that could be trouble. No time to think anyway, as she soon heard a scream from inside the cave. Again without thinking, she ran in to investigate. She took a look around where the scream came from, but couldn't find anyone. Maybe they ran farther in? She yelled out, "Hey, is anyone in here?" Quince was about to kick back and relax in his new hideout when he heard a voice and the sound of running. He narrowed his eyes and sharpened his senses, “Someone’s here…” He was ready to hunt down whoever it was, until a Pawniard ran past him and threw him off. Quince looked at the bag of Apples and Oran Berries she was carrying. That wasn’t an explorer’s bag, was it? “Get back here!” he shouted, running after the Pawniard. Catching up to the Pokémon was easy, especially since she kept stopping to look for something. Quince sped past Pawniard and blocked her path. “Just who do you think you are, running in here like that?! I know… you’re an explorer, aren’t you?! You followed me here so you could arrest me, was that your plan?” the Weavile’s accusatory mouth narrowed into a smirk, “Well that’s not happening.” Without warning, Quince raised his claws and threw himself at the Pawniard. Nilda quickly blocked the attack, ending up with little more than a scratch. She jumped back to try and put some distance between them. "I'm no explorer! I have no idea who you are! I have no reason to fight you." she retorted. She quickly used Swords Dance, "But if you want to fight, I'm not about to back down." She watched him carefully for his next move. What was this Weavile doing? She was really starting to regret rushing in here like that. Just her luck, the first pokemon she's seen in what felt like forever, and he wants to fight. Not that she minded fighting, but she felt like she'd rather fight in a group. She put her blades up in defence. "I just found this bag at the exit from the cave I came from, I don't know who it belongs to! I rushed in here because I heard someone scream and wanted to see who it was. And if I was in the Guild, why would I come here alone?" For now, she was going to keep up the defence, ready to dodge his attack and hopefully retaliate with Metal Claw while his guard was down. The Pawniard came alone, she says. She rushed in here because she heard a scream. How believable. No Pokémon would even go near Star Cave, and the Pawniard says she was just passing through? She was looking for someone. Was it her partner from the Guild, waiting to ambush Quince in this cave while she followed from behind? They’d regroup and take him on, was that what was going on here? What an elaborate plan. Or was Quince overreacting? He was being hunted, so of course he was wary of anyone he came in contact with. But on top of that, the Pawniard had invaded his territory. Could she really blame him? Quince’s claws struck her blades, producing loud sparks that ignited a heated battle but extinguished the sound of the Pawniard’s voice. But one thing did register. “Once I’m through with you, I’ll find whoever else is lurking here!” Quince shouted. He sent Ice Shards flying in the Pawniard’s direction. While she was busy deflecting the shards of ice, he’d catch her from behind and hit her hard. There was just no reasoning with him. Quince was in a state of animal determination, fully committed to eliminating what he perceived as a threat; an intruder; his enemy. The Pawniard had to understand - and quickly - that there was only one way to stop him. Nilda was getting frustrated, this Weavile wasn't listening. Well, she tried. She dropped her guard and rushed the Weavile, taking the hits but taking little damage. She used Metal Claw and attacked.